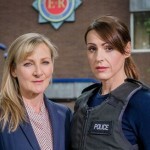 Excellent news out of the UK Friday with the announcement by ITV that the brilliant Sally Wainwright police procedural series, Scott and Bailey, has been commissioned for a fourth series. Production will begin in Spring 2014. 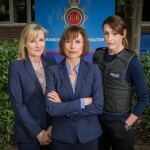 Based on an idea by Suranne Jones and Sally Lindsay, who plays Bailey’s sister Alison in the drama, Scott and Bailey follows two female detectives who are part of the Major Incident Team (i.e. murder investigation, etc.) in Manchester. Wainwright, who also wrote Last Tango in Halifax, which will have its U.S. premiere on PBS beginning September 8, will also executive produce the new series which has not only become one of ITV’s most popular dramas (ok, it’s hasn’t entered Downton Abbey territory just yet) but has also become a favorite in the States as being authentic, pure and simple. It’s dark, gritty and humorous, at times. This is neither Luther, which is the definition of dark and gritty, nor is it Rizzoli & Isles. It’s real. So, if in the UK, sleep well with the knowledge that there will be more come Autumn 2014, most likely, while U.S. fans of the series get set for series 3 also knowing there will be more S&B greatness. Of course, you can order the series from amazon.uk and watch them at home on a universal dvd player!!! Sally Wainwright is brilliant! Absolutely LOVE Last Tango in Halifax and Scott & Bailey! Can’t wait for Season 4 to make it to the States!